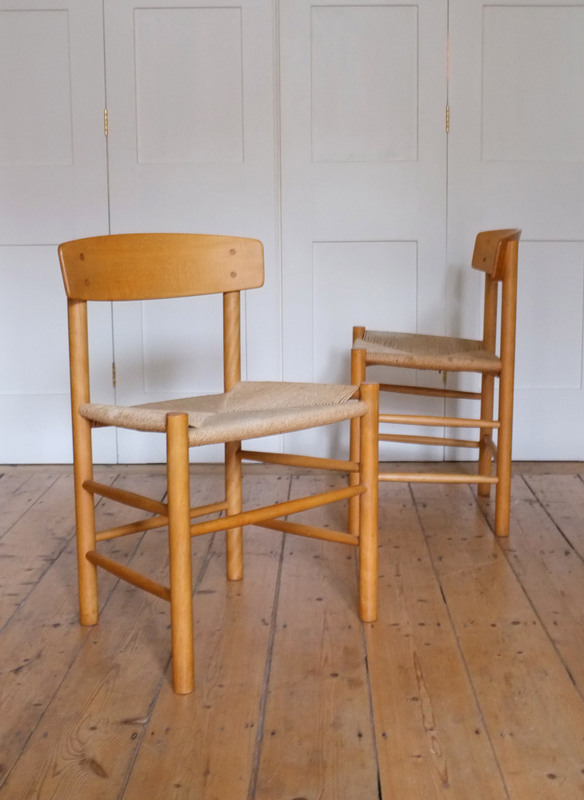 A pair of vintage J39 shaker chairs designed by Borge Mogensen in 1947, Denmark. 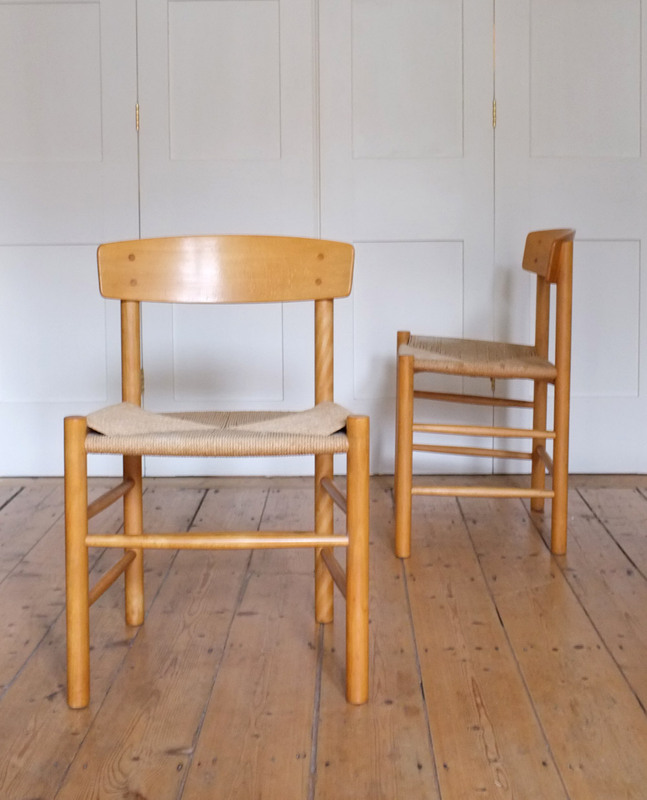 A classic pair of understated Danish dining chairs that look great in contemporary and traditional settings and are very comfortable. 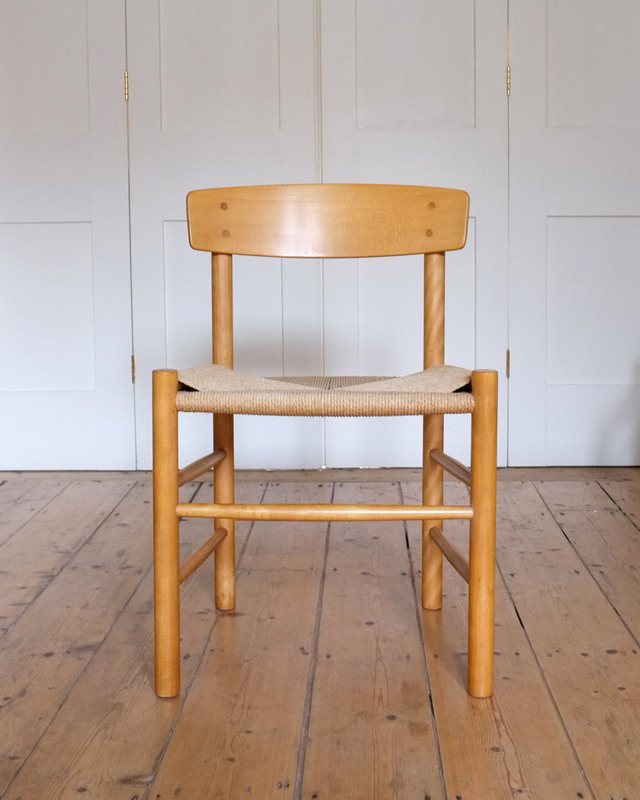 Solid beech frame with woven paper yarn seats. In very good condition with some light wear to the frame and seat.